The 3.5 Ecoboost is already a very impressive and powerful engine, but it’s always fun to pull out a little more power and efficiency. One of the surefire ways to actually get increased performance from your F150 Ecoboost is with a tuner, especially if you’ve added, or plan to add, a cold air intake and or an exhaust system. With many good options available, we answer the question, what is the best tuner for 3.5 Ecoboost? DiabloSport are the world leaders in electronic hand-held tuners for Ford, Dodge and GM vehicles. Based in Florida, they’ve been manufacturing vehicle programmers since 2001. Their biggest passion is trying to improve the power output of an engine as much as possible, but recognize that the market also has demands for improved fuel efficiency. Their systems let you tune your engine how you want it, or you can take advantage of their expertise and use one of their pre-coded tunes that they developed. Over the years DiabloSport have produced a number of different tuning tools, each one improving on the last, ensuring they stay at the front of tuning game. The T1000 is one of their tried and tested models. It’s been on the market for quite some time, but don’t let that concern you, as you’re always guaranteed the latest tunes at purchase. The T1000 is a neat, cellphone sized tuner, that is intended not only as a programmer but also as a diagnostics tool. It comes included with a screen mount, so that you’re always able to monitor what’s happening in your car, as well as change programs with ease. The device has an amazing array of functionality, it has a standard OBD cable for connecting to your car, but also has USB for connection to your computer, and SD slot for transferring data or storing extra data that doesn’t fit on the onboard 100MB, as well as having two analog input channels, that you can attach your own sensors too. If you’re looking to improve the performance of your pickup the T1000 is the place to start. The device comes preloaded with tunes for use with premium (91 or 93) octane fuels that can give you 15-40 horsepower extra, and a notable torque boost too. They haven’t forgotten the users of cheaper fuel either though, as tunes are provided for 87 octane as well. If you’ve already modded your car with a cold air intake, or sensor upgrade, they have tunes available for those arrangements too, helping you get the most bang for your buck. While it’s all good and well to make use of preconfigured settings, the T1000 lets you adjust a number of settings yourself, such as the fuel tables, idle RPM, mass air table, the shift points and more. Along with control you also get diagnostics. This includes access to the car’s trouble codes, with the ability to decipher and reset them. You’re also able to log data relating to all manner of engine control data, from speed and RPM to lambda and ABS wheel speed sensor data. The neat unit includes LED warning lights that can be reconfigured, and you’re able to make use of the free DS Downloader program to keep your unit up to date. Customer reviews for the product are a bit mixed, with a majority of 5-star ratings being dragged down by almost 20% 1-star ratings. Complaints are as varied as the ratings, some relating to errors, non-compatibility and poor customer service, others referring to poor workmanship. 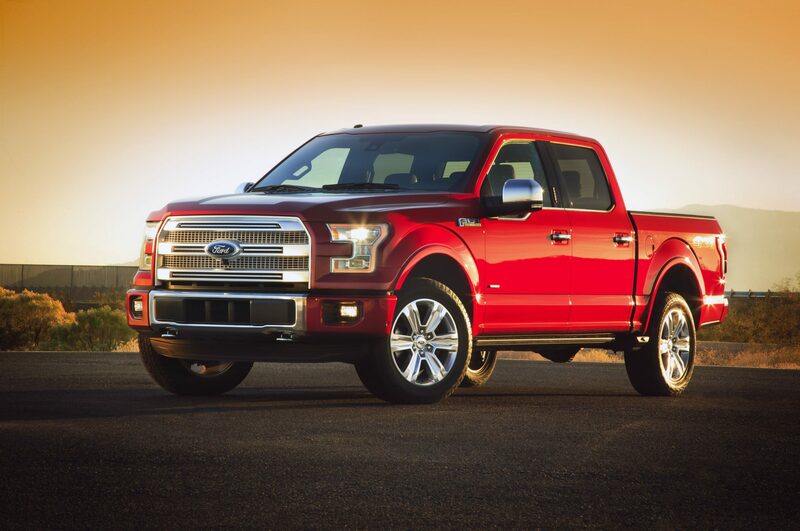 Drivers of the F150 should be okay though, and a 31-day money back guarantee is offered. A lot of functionality, but linked to a high price. The product definitely has great potential, and in most cases, should meet those expectations. SCT was founded in 2003, and has devoted their business to the idea that engine tuning should be something available to all car enthusiasts. They work hard to make their devices as universal as possible, while providing off the shelf tuning solutions that are easy to use and reliable. Their focus over the years has been on Ford, GM and Dodge, for which they have released tunes and products for hundreds of different vehicles. The X4 features a durable, fit in your hand design, and comes with a USB and OBD cable. It comes preloaded with tunes that have been proven on a Dynamo. 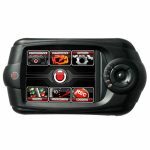 In addition, you can load up to 10 of your own tunes, as set up by an SCT tuning dealer. The provided tunes are able to increase the power and torque output of your engine, while some can improve throttle response, and others your fuel efficiency. It also allows you to specify the inclusion of any of your own modifications, such as exhaust or air intake adjustments. Some of the adjustments you can do yourself include, idle speed adjustment, altering of manufacturer specified speed limiters, as well as changing the axle ratio to correct the speedometer when fitting non-stock tires. These are just some of the adjustments you can make. The X4 also allows you to diagnose the fault codes on your car and reset them as necessary. The device also includes data logging capabilities. These can be stored on the device itself, or you can connect it to a PC for improved functionality with the free Livelink datalogging software. The X4 also allows for two analog inputs for added datalogging ability. The device also has built in Wi-Fi, which allows you to automatically download updates directly to your X4. The X4 is both the cheapest and highest customer rated product on our list today. It is perhaps not the most sophisticated product, but it delivers on its promises, and will most likely be more than adequate for most users. Although some customers complained that they couldn’t get it working straight out the box, and required extra software, majority of the reviews are positive, with easy installation and noticeable improvements the order of the day. Another offering from SCT, this is their premium Livewire TS+ device, sporting a large 4” touch screen, it has the appearance of a conventional GPS unit and comes provided with a typical windscreen suction mounting. The Livewire TS+ is SCT’s latest offering, with a price to match. It features many of the same functions as the X4, with a few notable improvements. Top of that list is their switch on the fly ability. Only available for selected vehicles, this option really gives you the best control. If you’re looking for performance you can load a performance tune. If you’re stuck in traffic, you can quickly switch to a fuel-saving option, and once on the freeway switch to a cruising tune. All of this can take place on the fly, without the need to turn off the engine. The Livewire TS+ is designed to be left in your car and plugged in the whole time. To this end, it includes an automatic on/off/sleep mode which means you don’t have to worry about turning it off when you get home, it does it for you. The device also features a built-in performance calculator, which lets you monitor horsepower as well as record quarter mile drag and naught to sixty times. The device also lets you display custom gauges, able to show you all the data that car knows, which is usually hidden to you. It also has a video input which can be used to connect a rear-view camera that is compatible with most aftermarket cameras. Beyond this the Livewire TS+ has all the functionality of the X4, such as data logging, various preloaded tunes and the ability to monitor and reset diagnostics codes. It can store up to 10 custom tunes, let’s you make changes to the shifting point and rev limiter as well as perform updates via the built-in Wi-Fi. Unfortunately, along with all the improvements, a major price jump takes place as well, with the Livewire TS+ coming in more than $200 above the X4. For some the improved interface and other touches will be enough to warrant it, and it hasn’t stopped customers giving it an appropriate 4-star rating. Last on our list of best tuners for the Ford F150 is the Superchips 1845 Flashpaq F5. Superchips were formed back in 1977 in England, they are currently based in Florida, where they manufacture all of their products. The Flashpaq is a durable, iPod style device, that comes with a USB cable and permanently connected OBD plug. The device has a high-definition 2.8” screen with joystick and select button. It may have a modest design, but it belies a powerful set of tools. Although it doesn’t feature datalogging capabilities, it can perform standard diagnostics, accessing codes and clearing them. More importantly though it features the full scope of tuning capabilities with active fuel management control for on the fly adjustments, depending on model. The design has been optimized for user-friendliness, trying to avoid complexity by focusing on the most popular tasks. Engines can be tuned for economy, towing or extra power. You’re also able to do speedometer correction, change the shifting point of the engine and alter many other specifications too. While a solid product, the Flashpaq has garnered some criticism with 25% of reviewers giving it a 1-star rating. The complaints are quite varied, and concerning. While it is one of the cheaper options, we wouldn’t suggest it as the top product. If you’re comfortable at this price try out the SCT X4, or be prepared to fork out a bit more. Engine tuning can have a number of meanings. It’s fairly broad in scope, referring to any adjustment or modification of your engine or its control mechanisms. This can be in the form of replacing or adjusting physical parts, altering the timing or mixture ratios of the engine, and in the more modern context includes making changes to your car’s engine control unit. As broad as the potential areas for change are, so are the settings on the modern-day ECU. A number of options are at your control, giving you access to control things like the idle speed and fuel to air ratios. In engines fitted with a turbo, like the Ford Ecoboost range, one can also make changes to the allowable boost levels. The reasons for making these changes includes getting more performance out of your engine, while others will opt to detune their engine, preferring to improve its longevity and increase their fuel economy. Car manufacturers go through a lot of effort to tune their cars for a specific use case. But it is a very general use case, which leaves many people frustrated. The car manufacturer has to meet many different emissions and fuel-economy standards in different countries, and having differently pre-programmed ECUs allows them to use the same engine, minimizing overall costs. For certain cars, it’s possible to buy a new ECU for your car. This ECU will be preprogrammed for a certain specification. Other programmers will have one or two preset configurations that you can load easily by just plugging the unit into your car. Both of these are fairly risk-free options, as the likelihood of you accidentally changing a critical setting are reduced. For other people though, they want full control of their cars. And that’s where a true engine tuner, or programmer comes in. Since the 1990s all cars manufactured and sold in the US (and later globally) have had to come with an on-board diagnostics port. This OBD port is a standard across all manufacturers, as is much of the communication which takes place on this port. OBD ports are usually located under the dashboard near the driver’s seat, making them easy to access, and thus gain control of your car. One of the great things about the items in our list, and tuners in general is that they are usually not vehicle specific. That means that you may purchase one of these tuners for your Ford F150 3.5 Ecoboost, but they’ll often be compatible with other vehicles, meaning this is not an investment just in this vehicle, but for all the vehicles you currently own, and ones you’ll own in the future. If you’ve wanted to get a bit of extra oomph out of your F150 since you bought it, you no longer have an excuse, as any one of the items we’ve reviewed in this article will make for the best tuner for the Ford F150 3.5 Ecoboost.